"Cupcakes and cookies for all occasions"
Our market season may be over, but that doesn’t mean we are done! We are busy baking up cupcakes, cookies, and cakes, for weddings, book clubs, and other special events. Stop by our “Special Orders” page to put in an order for your next get together! Available for pick-up or delivery. 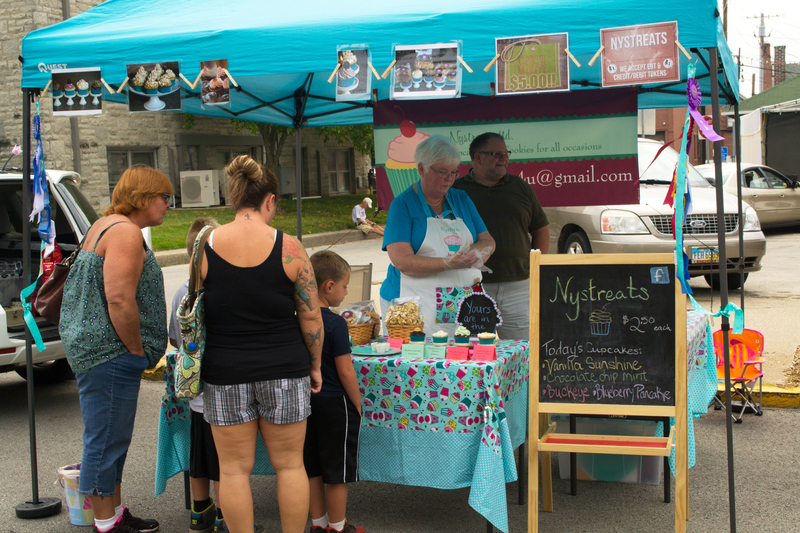 You can find Nystreats each Saturday morning from 8:30-12:00 at the Clinton County Farmers’ Market. The Farmers’ Market is on Mulberry Street in downtown Wilmington, Ohio. We also take special orders for any events or occasions you may have. We are available for any special events you may have. Visit our "Special Orders" page to contact us about details.